The leader of the Republican Party of South Sudan, Lewis Anei Madut has rejoined the ruling Sudan People’s Liberation Movement (SPLM) after dissolving his own party. Madut was a former Adviser in the Ministry of Culture, Youth and Sports. He abandoned his position to form the Republican Party of South Sudan in June 2017. He later joined the South Sudan United Front/ Army SSUF/A led by Gen. Paul MalongAwan. Speaking in a press conference in Juba yesterday, Madut said the party members reached a decision to dissolve the party and its members would return to the mother party SPLM after consultations. “The party’s decision to dissolve itself and collectively return to the mother SPLM party has been arrived at after the Chairman’s consultation with the party structures inside the country and abroad following the call from the SPLM in line with the Arusha Agreement,” Madut told the press. He said the party had registered up to 120,000 members across the country in less than six months despite the country’s insecurity and economic situation. Those who signed Arusha agreement include SPLM chairman and president of the republic of South Suddan Gen. Salva Kiir Mayardit, the SPLM-in-Opposition which is led by former vice president Riek Machar, and a third made up of party officials who were detained when the conflict began in December 2013. The Arusha Agreement document allows the mother party SPLM to receive back its party members who wish to return willingly. Madut added that the party Secretary for Administration and Finance was immediately directed to assemble into safe custody the party assets for further discretion. He said a committee of about five people has been setup to negotiate the re-enrolment process with SPLM General Secretariat. 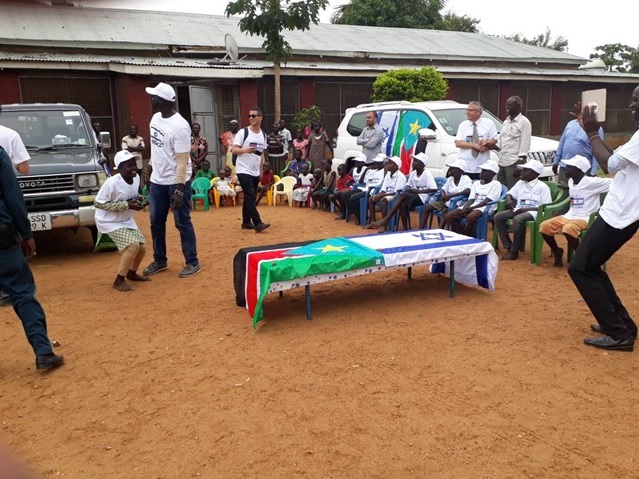 Makueng said the leadership of the Republican Party has witnessed the suffering of the people of South Sudan and wanted to work towards change. “South Sudan will benefit from this kind of perception and conception that we need to be together unconditionally and we need to work together unconditionally,” Makueng said at the SPLM Secretariat.